Blueberry plants make a great addition to your home garden, landscape or orchard. They are high in antioxidants and provide many nutritional benefits. St. Cloud blueberries excel with all of these traits and more. With St. Cloud Blueberry, Vaccinium corymbosum 'St. Cloud', you can start picking fruit weeks earlier than many other blueberry varieties. This bush covers itself with white flowers in late spring and massive numbers of dark blue berries in early to mid-summer. You will have plenty to eat and plenty to give away! If you can grow azaleas and rhododendrons, then you can grow the St. Cloud Blueberry. They grow in the same types of places and enjoy the same soils. Give them six hours of sun a day and plant another cold weather blueberry (like Polaris) to cross-pollinate and you'll have mouthwatering berries all season long. These are tall plants, but they have shallow root systems. This makes them perfect for raised bed planting and large containers. They are beautiful landscape plants and will fit into any border or perennial bed with ease. In the fall the leaves turn a vibrant red-orange that lights up the landscape.  Nature Hills only sells strong, healthy, field-grown plants so you know that you're getting the best available. Order St. Cloud Blueberry today and enjoy a summer full of fresh fruit!